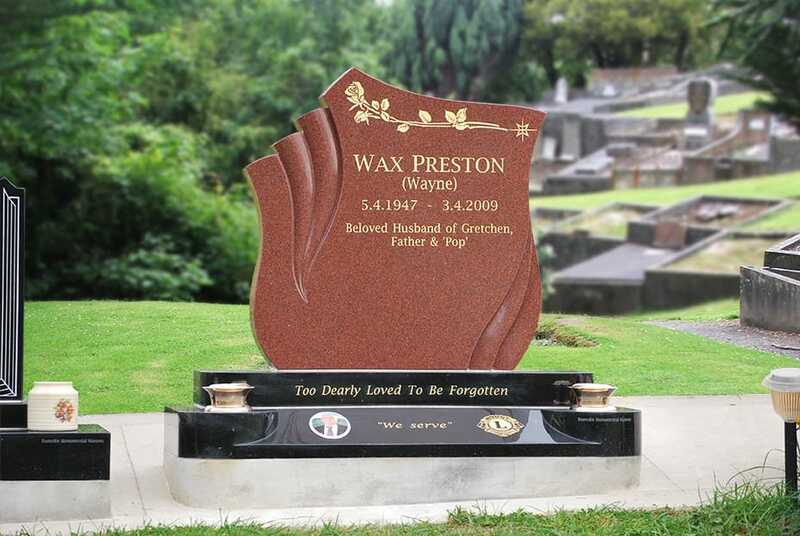 Headstones also known as grave or cemetery stones, monuments or memorials are manufactured in-house by Dunedin Monumental Masons whose services range from traditional headstones to custom-made, one-off memorials. Dunedin Monumental Masons is Dunedin's only registered member of the NZ Master Monumental Masons Association. Membership ensures an established quality criteria and consumer protection. We are also members of "Headstone Shop" a network ensuring a constant supply of high quality granite memorials and some truly unique designs. Accessories include statues, flower vases, porcelain flowers and photographs and bronze adornments.